Yesterday, Ofcom launched a new online tool that allows people to find out how well major telecoms providers serve their customers. Using findings from Ofcom’s first ‘Comparing Service Quality’ report, phone and broadband customers can compare how different providers rate when it comes to things like answering customer calls, handling complaints, and reliability of their services. Brought together in a simple, visual format, the online tool should help inform consumers who are shopping around for a new provider. The report combines consumer research, complaints figures and statistics obtained directly from providers. 13% of broadband customers had a reason to complain to their provider in 2016, compared with 5% of landline telephone customers and 4% of mobile customers. 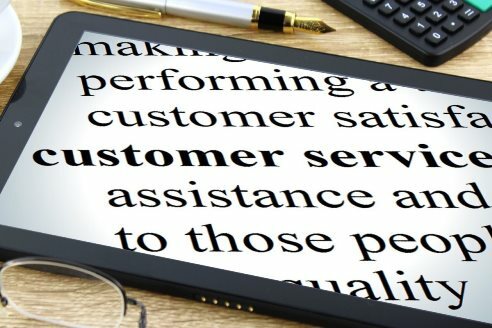 Just over half of the broadband and mobile customers who complained to their provider in the last six months of 2016 were satisfied with how their complaints were handled (56% and 57% respectively). By comparison, 62% of landline telephone customers were satisfied with how their complaints were handled. On average, landline telephone and broadband customers had to wait over twice as long to speak to a customer services advisor (2 minutes, 51 seconds) than mobile customers (1 minute). Calls to technical support took, on average, two and a half minutes longer to answer than sales calls. 92% of mobile customers, 89% of landline telephone customers and 87% of broadband customers were satisfied with their service overall. The report also found providers take an average of 13 calendar days to get a new broadband service up and running; 16 days to set up a landline service, and 16 days to install a landline and broadband service together. Ofcom hopes the findings from this report will incentivise providers to improve their service quality and fix recurring problems. “We’re determined to help bring about a service revolution in the telecoms sector, where consistency and excellence becomes the norm, and customers always come first. Landline, mobile and broadband business services from MF Communications. At MF Communications, you will find a range of business telecoms solutions, tailored to meet your needs. This includes business phones lines, mobile tariffs and high-speed business broadband. Benefit from cheaper business mobile tariffs for yourself and your employees and enjoy increased uploading and downloading times with a superfast broadband for business package. MF Communications will transfer all your existing lines without unnecessary downtime or disruption to your business, and with a team of specialist business telecommunications engineers, as well as dedicated project managers, someone is always on-hand to offer support. Your business telephone line will stay on the Openreach network, but you will benefit from lower tariffs and direct, personal service managed by MF Communications. A high level of customer care and service goes without saying at MF Communications. Call now on 01892 514687 to discuss your business telecoms’ needs. Alternatively, you can email or fax a copy of a recent phone bill to receive an itemised quotation showing you can save.